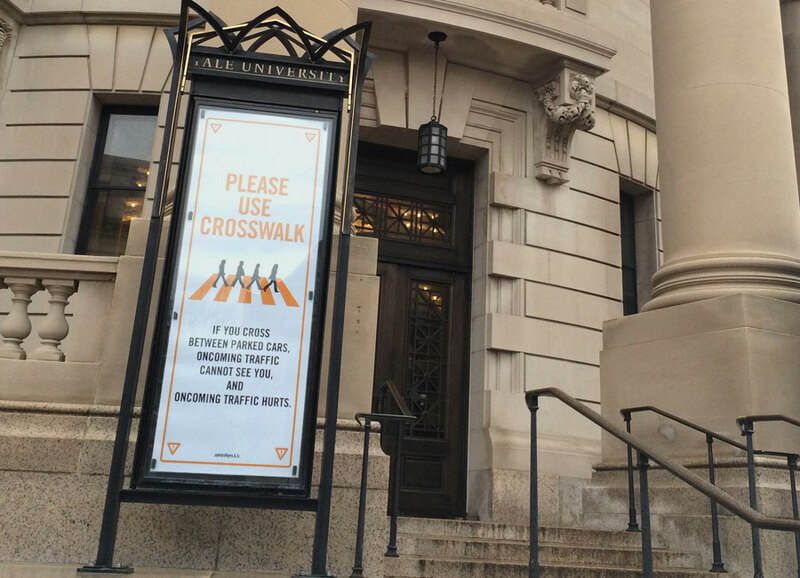 A multi-year, ongoing pedestrian safety campaign for Yale University. 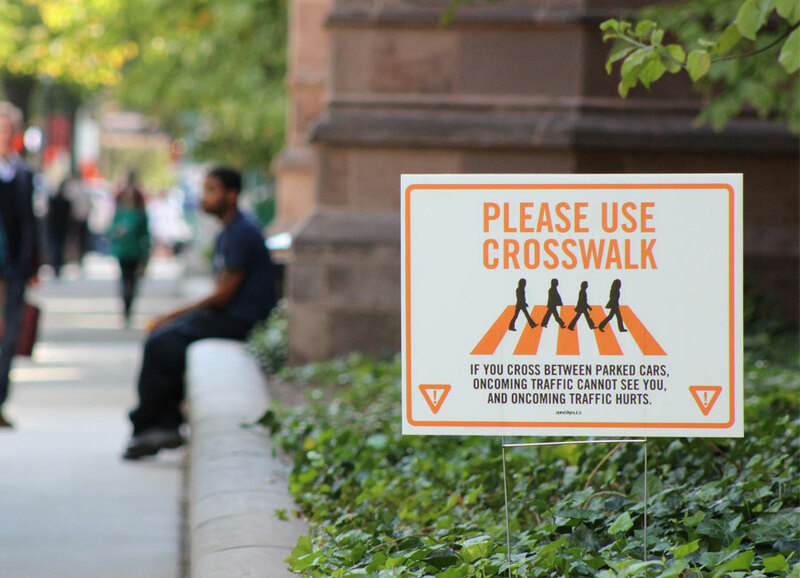 The campaign utilizes street stencils, billboards, posters, flyers, lawn placards which are displayed both on campus, and around the city of New Haven. 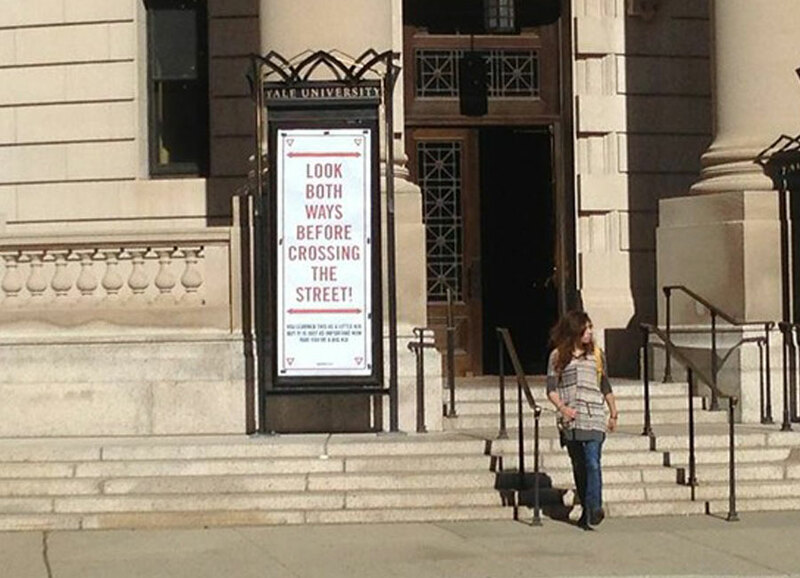 Each semester, a new message is rolled out. This project began in 2012.